A disaffected U.S. Marine Corps veteran, Soviet sympathizer, and pro-Castro activist, Oswald was employed by the Texas School Book Depository in Dallas. From the sixth floor of the depository on November 22, 1963, at 12:30 p.m., he shot President John F. Kennedy and Texas governor John Connally as their motorcade passed below his window. The president died within a half hour; the governor recovered. 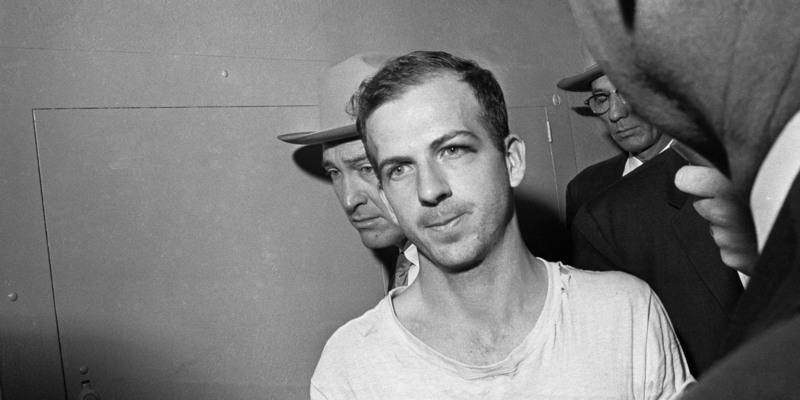 In an escape attempt, Oswald shot and killed Dallas police officer J. D. Tippet and was himself shot to death on November 24, while in police custody, by Dallas nightclub owner Jack Ruby. Both Oswald’s role in the assassination and Ruby’s killing of Oswald instantly drew the speculation of conspiracy and remain controversial to this day.